From Google Wallet to the recently-launched Isis, Near Field Communications (NFC) has emerged as a choice technology to authenticate contactless mobile payments. While NFC m-payments continue to grow globally, the momentum has slowed due to expensive hardware requirements and limited adoption by merchants and consumers. In this recent Mondato article, we discussed the challenges and opportunities for NFC m-payments. With demand for contactless payments booming, a new generation of NFC alternatives has emerged. From quick response (QR) codes to sound-based payment authentication, technologists have developed new ways to ensure secure and seamless m-payments. We take a closer look at a few of the most promising of these technologies – and analyze how they may enhance adoption of m-payments by merchants and consumers. 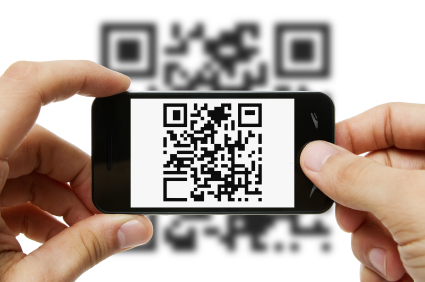 Secure visual codes, from QR codes to barcodes, are not new to the mobile commerce space. They are already leveraged by retailers to enhance interaction with consumers via their mobile phones, from providing product information, to advertising new loyalty schemes. ScanLife, for instance, provides retailers with the ability to use a range of secure codes to optimize their sales force, analyze customer behavior and build loyalty. Increasingly, however, industry stakeholders are looking at secure codes as an alternative to NFC, which can be used to facilitate contactless m-payments, both in brick-and-mortar stores and for purchasing digital goods. The benefits of these unique visual codes are abundant – they are exponentially less expensive than NFC tags to produce, they can be recognized by most smartphones and tablets, and they can be easily integrated with existing payment processors. Starbucks can be lauded for spearheading this trend on a large-scale basis, developing a barcode-powered mobile payment platform for use in their US stores. The platform displays a barcode on the customers’ smartphone or tablet that can be used to make purchases. According to a Mashable story on the innovative system, “the coffee retailer was reluctant to wait for a NFC ecosystem to develop when its customers have expressed interest in mobile payments now.” The integration of this technology, in addition to partnering with Square last year, has paid off for the coffee giant – which now generates more than US $3 million in m-payment transactions each week. UK-based startup Ensygnia has also entered this space – offering friction-free scanning technology that CEO Richard H Harris calls “the visual equivalent and alternative to NFC”. The Ensygnia OneScan technology enables any device with a camera to interact with any device with a screen, via an encrypted visual code. This means that users can purchase goods (physical or digital) online simply by scanning a secure visual code on the merchants’ website with the OneScan smartphone app, which is linked to a bank account or another account such as PayPal, an e-wallet or a mobile carrier for carrier billing. Currently, the startup is primarily focused on reaching online merchants, and is ramping up to a public launch of its platform over the next six to nine months. While code-based technologies are gaining popularity in the m-payments realm, they are still held back by a number of concerns – including hardware requirements and security of consumer data. For instance, not all phones are equipped with cameras that can read QR codes, limiting the potential reach of this technology. Further, unlike NFC, visual codes often do not have inherent risk and fraud protections. This latter concern, however, can be addressed by combining visual codes with additional security features. Ensygnia, for example, has embedded additional layers of security and encryption behind and in the QR code itself – setting it apart from other visual code-based m-payment platforms. Ultimately the question is not whether visual codes can power mobile payments; it is whether we can trust them with our secure financial information. Mobile payment technologies are gradually entering sci-fi territory, with the emergence of a range of systems that use biometric information – from facial recognition to fingerprint scanners – to authenticate payments. A new m-payment system under development by Microsoft – deemed “Zero-Effort Payment” – would not even require customers to pull their handset out of their pocket in order to make a payment, rather relying on biometric identifiers. The Microsoft system employs a combination of Bluetooth Low Energy (BLE) technology and facial recognition technology from the company’s Kinect gaming system to authenticate a customers’ identity and complete a transaction. According to The Frontline blog, BLE (which is embedded in nearly all mobile devices) would recognize when a participating customer has entered a shop, narrowing down the field of potential customers. The Kinect facial recognition technology would then be used to identify the specific customer waiting to pay. Although the technology is far from entering the mainstream, initial testing shows it may have the potential to rival existing technologies such as NFC. Pay With Square, which we reviewed in a past Mondato newsletter, leverages strikingly similar technology. Once the customer sets up the Pay With Square app on their smartphone, geofencing technology enables them to pay by simply entering a store and saying their name, without having to pull out their phone. There are however a number of limitations to this technology. For instance, it requires customers and merchants to have either smartphones or tablets (though these are often less expensive than tradition POS terminals). Further, security can be a concern – there have been cases of people using pictures of cats or cartoon characters instead of their own photos. However, the convenience factor has made it a popular platform for many small businesses, and user volumes continue to grow. Fingerprint sensors may also prove a powerful technology for m-payment authentication in stores, particularly in combination with other technologies. A tablet introduced by Inside Secure and TazTag in late 2012, for instance, includes a secure element that can securely store fingerprint images, which can be compared to those gathered through the built-in fingerprint scanner. This can serve as an authentication tool for mobile banking payment, ticketing and other secure applications. Rumor has it that the new iPhone 5s may also include fingerprint recognition technology, through the acquisition of AuthenTec last year. If true, iPhone users may soon be able to make secure m-payments through Passbook or the iTunes digital store, simply by touching their screen. Near-Sound Data Transfer (NSDT), a technology pioneered by France-based Tagattitude and used in their TagPay mobile money platform, authenticates retail payments via a unique, randomly generated sound that travels from the POS terminal to the consumers’ mobile phone. In contrast to NFC, this technology requires no additional hardware investment for merchants or consumers. Rather, the technology leverages the “lowest common denominator” of all mobile phones – the microphone. According to Isabelle Berner, Head of Marketing at Tagattitude, this enables customers with even the most basic feature phone to pay using their phone, in stores or on websites. Merchants, similarly, can use anything from basic feature phones to a TagPay-enabled POS terminal such as the MobiPrint terminal to receive payments. For an example of TagPay in action, read the next article on the partnership between Tagattitude and mobile remittance provider, Afrimarket. While new competitors are emerging, NFC is still a powerful contender in the m-payments space, and its continued influence moving forward cannot be ruled out. One of the primary barriers to NFC adoption has been the lack of POS terminals that accept NFC payments, and the limited number of NFC-enabled mobile devices. However, both of these obstacles are gradually dissolving. In the US, for instance, as point-of-sale terminals shift towards EMV compliance, merchants will be required to upgrade their POS – and may take the opportunity to purchase new, NFC-enabled terminals. On the handset side, there are expected to be more than 500 million NFC-enabled devices in use by consumers by the end of next year. Further, Isis and other NFC-based platforms continue to gain momentum and are optimistic about their future. According to Sergio Pineda, senior manager at Isis, the “convenience factor” will continue to drive momentum and awareness of NFC mobile payments. As these new technologies emerge – from QR codes to fingerprint scanning – it is clear that NFC is not alone as the future of contactless payments; but rather, just one option among many. In this highly competitive and still maturing space, it will be the technology that “ticks all of the boxes” – offering the highest level of security, data protection and user convenience for the lowest cost – that will emerge as the winner. If no single technology achieves this, perhaps mobile payment solutions of the future will be powered by a combination of technologies, which will work together to achieve seamless, secure contactless payments. And as any industry insider knows, the technology is only one portion of the equation, with success ultimately depending upon the value that is added on top of the technology itself.